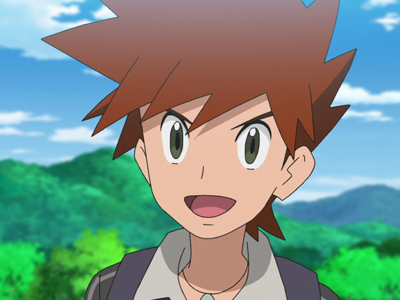 Gary, the grandson of Oak and Ash's biggest rival during the early seasons, was first seen at Professor Samual Oak's laboratory after receiving his starter Pokémon. 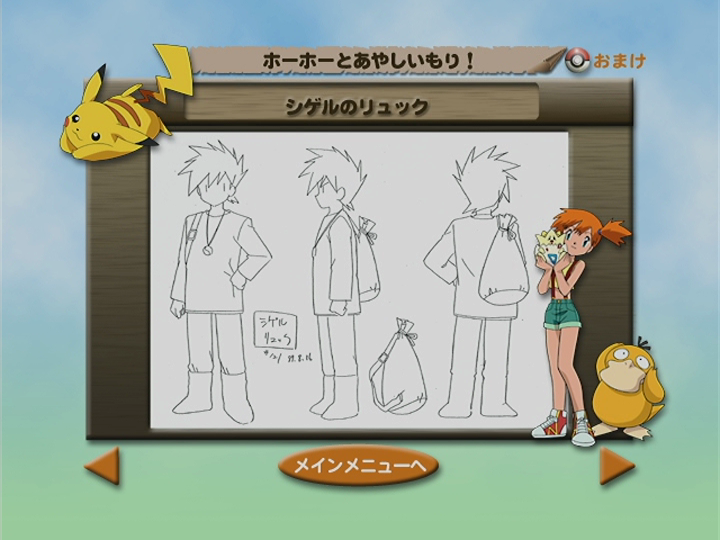 Ash had arrived late and was unable to see his rival's Pokémon choice. Gary has his own fan club with him that follows him around wherever he goes. 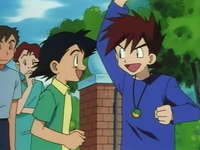 With 10 Gym Badges, Gary Oak took his confidence and slight arogance from his Pokémon journey so far into the Kanto Pokémon League and continued to torment Ash who had also made it into the Kanto Pokémon League. Gary's first battle was on the ice field which he won easily, keeping all of his Pokémon from being KO'ed in the process. It down to the last Pokémon of both Gary and Melissa to see whom would proceed to the final 16 of the Kanto Pokémon League. Towards the end of the battle Gary's Nidoking faced off against Melissa's Golem and both Pokémon looked tired. 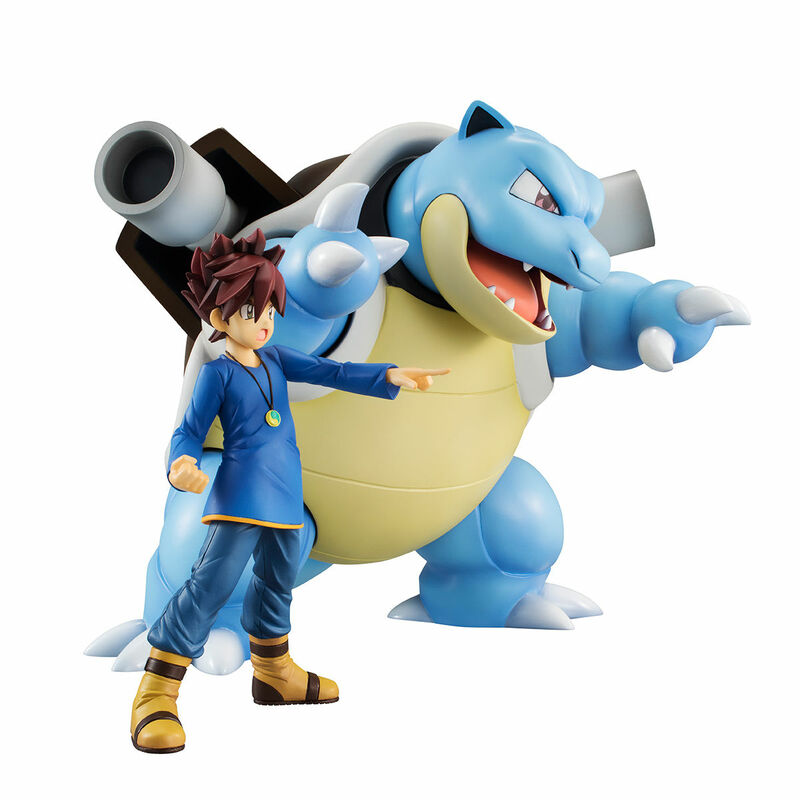 Gary ordered his Nidoking to use a Horn Attack, but Golem anticipated the move and managed to grab onto the horn and maintained a firm grip on it. In the final move of the round Golem used Seismic Toss on Nidoking, smashing it into the rock arena. 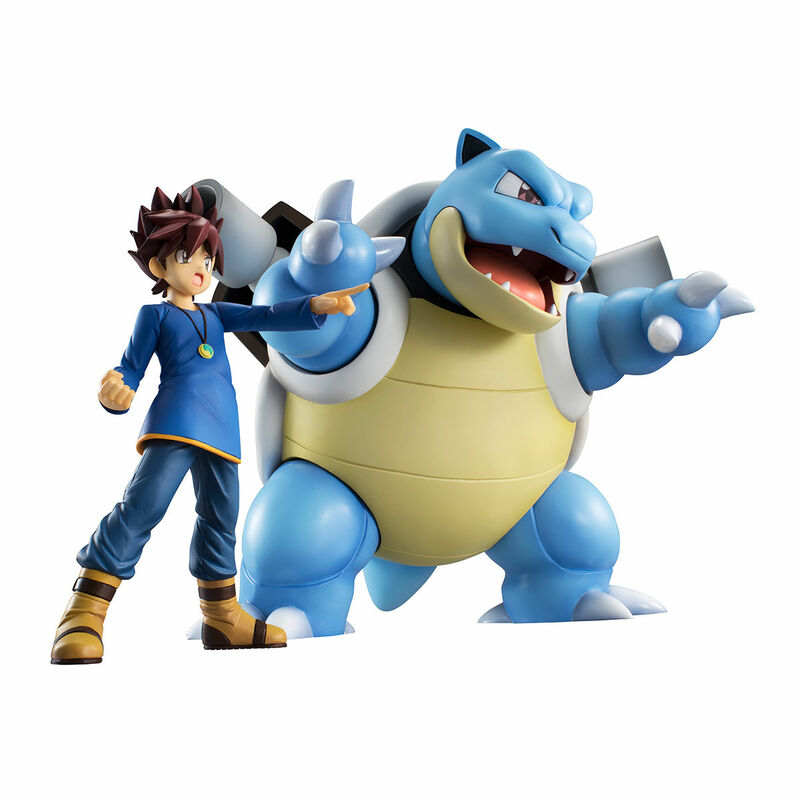 When the dust settled Nidoking had been eliminated and Gary had been knocked out of the tournament. Gary fell to his knees from the shock of the defeat and did not decide to stay to the end of the tournament, instead he left the Indigo Plateau with his distraught cheerleaders. Gary's Doduo which resides at Prof. Oak's Laboratory when Gary is not using it. Ash found out about Gary Oak's Krabby when he phoned the lab to find out about his Krabby that he just caught on the beach. Both Krabby are kept in fish bowls but it was quite obvious to Ash, after seeing the two and hearing Professor Oak tell him, that Gary's Krabby was significantly larger. During a Gym Battle against Giovanni, Gary Oak choose Arcanine as his second Pokémon after he was forced to switch out his Nidoking against Giovanni's Kingler. Gary Oak quickly told Arcanine to charge at Kingler and then use a flamethrower attack. Even though Arcanine was at a type disadvantage, it defeated Kingler using a Fire Blast attack. Giovanni's next choice in Pokémon was Mewtwo who quickly defeated Arcanine using Psychic. 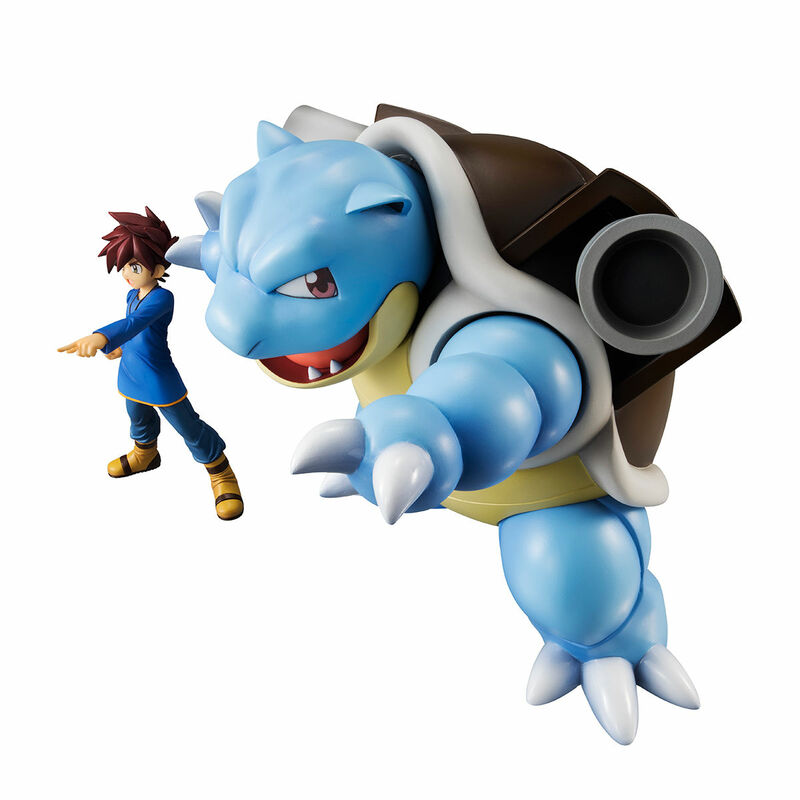 Blastoise was revealed to Ash when Gary sent it out to battle Heracross. Gary's Eevee evolved into Umbreon sometime after he left for his journey in the Johto region. Nidoqueen is a Pokémon owned by Gary Oak and was important in retreiving the GS ball from Jessie, James and Meowth when they had stolen it. Just before Gary left towards the Johto region he had a battle with Ash Ketchum using one Pokémon each. Gary used his Eevee and easily defeated Ash's Pikachu proving how strong Eevee is and how much Gary had improved as a trainer since the Indigo League. Gary's Magmar was first seen battling against Ash during the Johto Silver Conference. Gary's Alakazam was seen listed on Gary's profile for the Johto Silver Conference. Gary's Fearow was seen listed on Gary's profile for the Johto Silver Conference. Gary's Houndoom was seen listed on Gary's profile for the Johto Silver Conference. Gary's Pinsir was seen listed on Gary's profile for the Johto Silver Conference. Gary's Skarmory was seen listed on Gary's profile for the Johto Silver Conference. Gary's Kingdra was seen listed on Gary's profile for the Johto Silver Conference. Gary's Golem battled against Ash during the Silver Conference. Gary's Scizor battled against Ash during the Silver Conference. Gary's Dodrio was first seen being sent out to stop Team Rocket's helicopter. Butch and Cassidy were attempting to steal Aerodactyl but Dodrio jumped onto the front of the helicopter and uses Drill Peck. The helicopter couldn't withstand the attack and eventually blew up. Gary's Growlithe was never seen by Ash and his friends until its evolved Arcanine form. It's only appearance in the anime was during the Japanese opening Rivals! where is was seen briefly. Dash at the Pokémon Ride!! The Shirogane League Begins! Shigeru Returns! Preliminary League! Magmarashi's Flame Battle!! Meganium VS Fushigidane! The Willpower of Grass-types! Burshamo Once Again! The Fight against Hazuki!! At the End of the Full Battle! Respective Roads!! A Farewell... then a Departure! The Movie Rides on Bakuda! !